Follow along as we watch the game with our friends at Newsday. Omar Gonzalez comes up with another big defensive play to stop a Germany shot opportunity. Germany is making a substitution as we get back from halftime. Miroslav Klose comes on for Lukas Podolski. Germany won the shots battle, 6-2, in the first half. That's the half, and it's still scoreless. 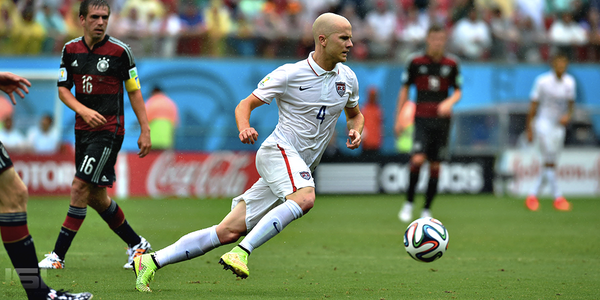 HT - 45 minutes gone and it’s 0-0 between @ussoccer and Germany. Good opening period for #USA . Squared across the top of the box. It runs away from Bradley who chases it down and puts in a hefty challenge to win the ball from Muller. 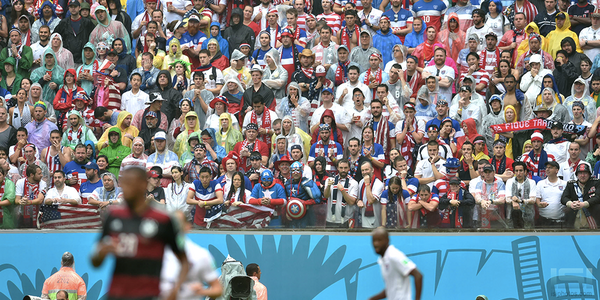 The U.S. chants are growing as halftime approaches. Still no score heading to the 42nd minute of play. The U.S. is awarded a corner kick. Gonzalez into the book after a tackle on Schweinsteiger around midfield. Still scoreless. Omar Gonzalez gets the yellow card. Germany gets a big shot opportunity, but Howard comes up with the save and the U.S. clears it.